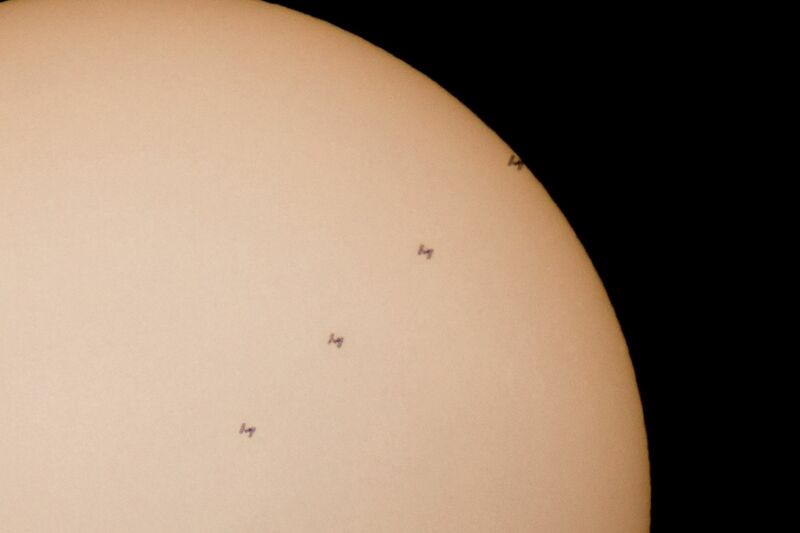 Solar Transit of the International Space Station on the 4. March 2017. 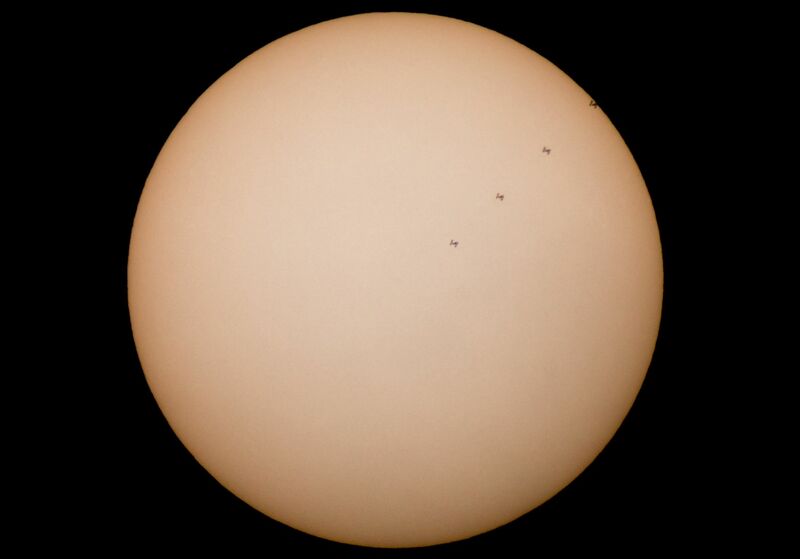 The photos were taken with a Canon DSLR mounted on a 1000mm telescope.